Having done the research, talking to fellow backpackers and hikers I felt I would be ready for winter camping. I wasn’t quite as ready as I thought I would be. 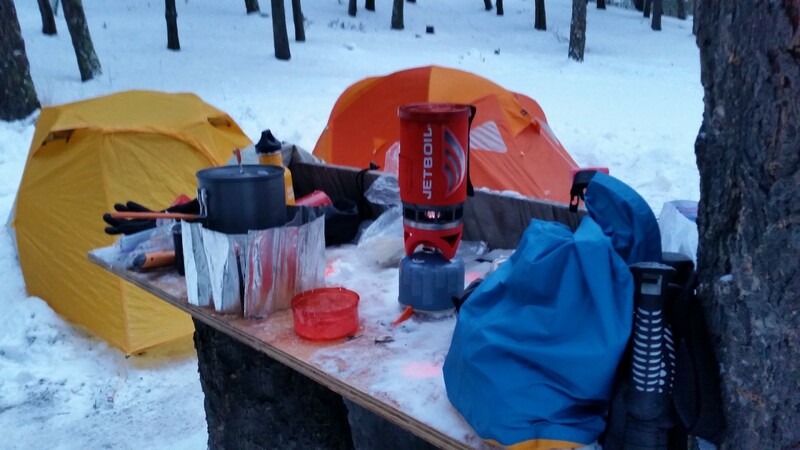 The biggest factor in winter camping in my mind is comfort and that is what was somewhat lacking. How do you stay comfortable? Stay warm. Stay dry. For my first winter camping experience we went to a relatively easy location, short hike, not much for elevation gain. This allowed me to worry about other things, like the cold, staying dry, not freezing to death. Ok, that was bit dramatic. I had a packing list which I felt was complete. I made sure everything was packed as best I could was certain that I didn’t forget anything important. I hadn’t. However this leads me to the point of my story. 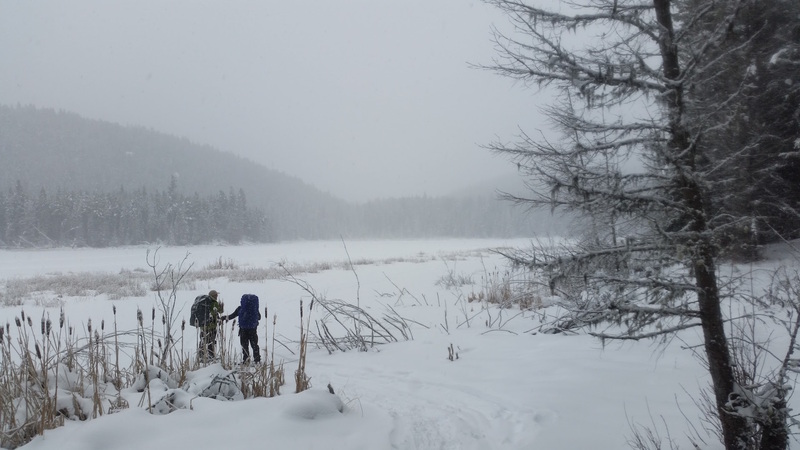 No matter how well you think you are prepared, there is always something you can learn when backpacking, especially in the winter. I would argue that the most important lesson I learned was staying dry by managing layers. I was wearing my typical winter hiking outfit however this time I was carrying 35 lbs of gear with me. Snowshoeing can be tough but add on a heavy pack and you are getting serious. The amount of energy that you are exerting translates to sweat. Sweating in the cold kind of negates the whole comfort thing. As soon as you stop moving, you’re cold. Lesson learned. Start cold and don’t be afraid to remove layers so as to avoid sweating. You can always dry out your gear at camp. The evening went on generally without issue. We had water, fire and a place to sleep. Sitting around the fire, we talked and ate and drank and were generally merry. Problem is, you tend to stiffen up when not moving around in the cold. Get up, stretch, take a pee. Keep moving or you will find yourself sore and eventually cold. Luckily the campsite had a “countertop” for us to use. Having the candle lanterns hanging from the top of the tent made a huge difference. Not only did it help keep the inside of the tent to above 0 degrees, but it also helped to keep the inside relatively dry. We had two lanterns and both were lit. In retrospect, we should have only lit one and then when it goes out, light the other. They last about 9 hours each. Something else I didn’t think of was my boots. I stored them under the vestibule but really that was not enough. They probably should have come into the tent with us as they were extremely stiff in the morning. Not easy to put on. At the very least I should have opened the boots up as much as possible so that they could be put on while not exerting as much force in our efforts to get our morning bathroom break underway. When trying to make breakfast the next morning, I found that my Jet Boil was not as effective as the day before. This was due to the cold. I found I had to wrap my hands around the canister to warm it up, allowing the fuel to flow and heating the water much faster. I have since made a canister cozy for my next trip to prevent this. Oh, also next time bring Cup of Soup for lunch or snack. Warm food is the best food. Learning from these minor miscues will only make the next trip better. Having the ability and the ambition to camp in the winter opens up a whole season of adventure. Don’t let winter intimidate you. Go camp any time of the year.